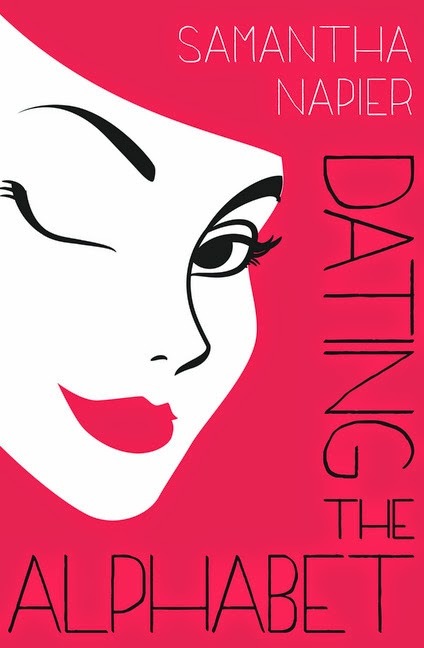 Today I am welcoming, Samantha Napier, author of Dating the Alphabet, which was published as an ebook yesterday (1st March 2015) with HaperCollins Australia. All the best of success with your debut novel! From Archie to Zolon, Ramona is determined to find a happy ending to her fairytale. 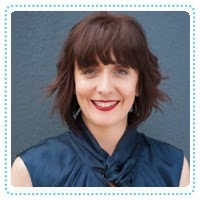 Ramona Rawlings is going to make dating fun again. Armed with an alphabet poster, post-it notes and her best friend Emma, Ramona is going to date the alphabet - from A to Z, Archie to Zolon and everything in between. Throw in the chaos of managing a theatre restaurant with a roster full of strong personalities, unfulfilled dreams and lustful hook ups and Ramona's world is turned upside-down. In between Evan the arrogant, Ivan the emotionally stunted and Glen the racist, Ramona discovers what she really wants: to be a good friend, to emotionally connect with a man and to replace her vodka-tonics with kale smoothies. But how many frogs will she have to kiss before she finds her fairytale? It all started with a puffy yellow skirt. Inspiration for the world of your characters can come from anywhere but for me as a first time author my inspiration came from something I thought I would never have to think of again; a puffy yellow skirt. There was a period of three years in my life where I spent five days a week dressed in a voluminous yellow skirt, a very structured blue top adorned with red ribbon and then all topped off with a large stiff white collar. Oh did I mention the seven little stuffed toys I also had tied around my waist? No I wasn’t going through a questionable fashion ‘phase’ I was working in a theatre restaurant playing the part of Snow White. Little did I know many years later when I was trying to find inspiration for my characters in my book Dating the Alphabet that I would remember back to this wonderful time I got to dress up, sing to perfect strangers and generally have fun every time I went to work. As soon as I realized what a wonderful world I could put my characters in I knew not only that I would be able to draw on the many, many crazy times I had working in the theatre restaurant but I would be transported back to times that hold such great memories. I went through the photo album and dragged out all the photos of my running around posing, pouting and primping as Snow White and stuck them on the wall above my laptop. It proved to be a winner move, it was like someone opened up a writing door in my creative brain and from then on the words and plotlines seemed to just spill out onto the page. As all writers know stories can consume a lot of your energy and thoughts but for me and this book by using such a great time of my life as inspiration the process was such fun. I’m not sure where inspiration for the next book is coming from but maybe if I think of all the crazy jobs I’ve had something will pop into my head. Samantha is an Australian writer who started her illustrious career in entertainment dressed as Snow White in a theatre restaurant. This is where she met her husband, Gordon, also a writer and together they started their own production which resulted in three loud and lovely boys. Writing across all mediums she has had short plays produced and is looking forward to the debut of her full length play Signing Off and comedy web series Kings of the Kitchen. Samantha and Gordon also hold their workshop Book, Screen or Stage to help writers see the potential their project could have. Her time as character waiter in a theatre restaurant and the dating stories her fellow flight attendants have shared with her have given her a mine of material for her hilarious new book Dating the Alphabet.